Established in 1995, We are engaged in Distributorship of water purification products through out India. We are involved in providing innovative options to our clientele by providing them with technological break-through advancemens. We also conduct stringent quality checks to maintain international standard in our product range. We endeavor to offer customized products and services to our esteemed customers. 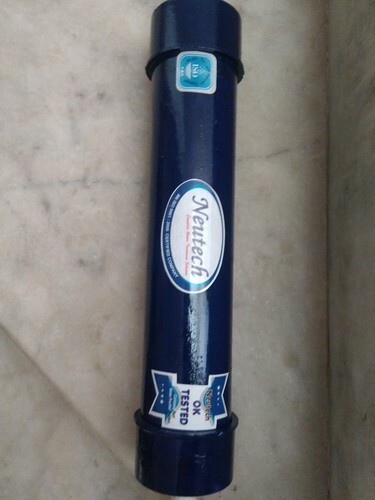 We "Neutech, India" are actively involved in the Trader and Supplier of an exceedingly functional collection of Water Treatment Plants Water Purifiers and Water Softener etc. The offered range has been procured from well known manufacturers and is valued for its efficient functioning. Alliance with trusted manufacturers ensures that these products have been crafted from the finest quality raw material. The range of our products comprises Industrial RO System, Swimming Pool Filters, Water Softeners, RO Water Purifiers, Water Purifiers, Effluent Treatment Plants, Wastewater Treatment Plants, ETP Plants, Sewage Treatment Plant, RO Plants & DM Plants. Our purifiers are products of effective use of reverse osmosis technology that gets rid of every kind of impurity from water. Our company is recognized for carrying out all the activities, right from the procurement of products to the final delivery as per the guidelines on quality laid down by the industry. We have a hi-tech quality testing unit that checks every aspect of the sourced array to ensure that it is free from all defects. Our company has sustained its prominent position in the industry by bringing forth purifiers that have technically sound features, dependable serviceability and long lasting functionality.